In a previous post (JoePa Meets Nero ), I considered the tendency of people to damn the entirety of man’s life’s work because of the evil he committed or allowed. I began wondering, though, if this river ever flows the other way. Are there people who have made such vast positive contributions that their negative actions are disregarded or ignored? I found 2 such examples separated by almost 2500 years with surprisingly similar stories: Steve Jobs and Sophocles. Both were universally acknowledged as geniuses in their own day. Both were evidently quite lousy people and cruel to those closest to them. In both cases, people overlooked the latter because of the former. 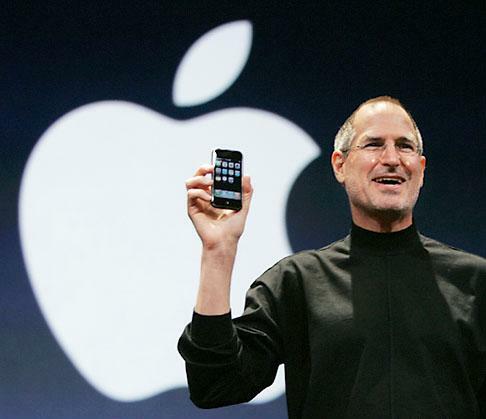 The story most know of Steve Jobs is the pirate of Silicon Valley, the founder of Pixar, the mastermind of the second coming of Apple, the inventor of the iPod, iPhone, iPad, etc. Slowly, though, cracks have emerged in his hagiographic facade and what has seeped through reveals a darker side. Steve Jobs was not simply a driven demanding genius, but a cruel, intimidating, temperamental boss; not just passionate and focused on his work, but dismissive of his family, going so far as to deny paternity of his daughter. A similar story can be told of Sophocles, the Ancient Greek author of the Oedipus tragedies. According to Cicero, toward the end of Sophocles’ life, his sons took him to court on the charge of being a “deadbeat dad.” What is interesting is that Sophocles didn’t deny the charges, but rather simply read passages from the play he was currently working on. The judges were so moved by the work, they declared him innocent. In both cases, the suffering these men inflicted was limited to a small number of people close to them, and the good they bestowed was upon “all mankind.” How do we weigh the two? For whatever reason, we, like the Athenian judges, overwhelmed by our joy at their latest creation, exonerate, exculpate, or overlook the wrong done because it was limited to a few people, and therefore is small in comparison with the great gifts bestowed upon us all. Should we not rather respond like Ivan from The Brothers Karamazov speaking to his brother Alyosha: “Imagine that you yourself are building the edifice of human destiny with the object of making people happy in the finale, of giving them peace and rest at last, but for that you must inevitably and unavoidably torture just one tiny [child], and raise your edifice on the foundation of her unrequited tears—would you agree to be the architect on such conditions? Though Ivan’s argument is against a god who would allow such suffering, how appropriately it applies to us and our iPhones. Nice Brothers K quote. I think the same thing could apply to Cosimo and (to a lesser extent) Lorenzo d’Medici in Florence, at least during their own time.